Carley comes to stay at the Murphy's home as a temporary placement. Her mother is in the hospital and Carley herself is pretty beat up. But the damage to Carley is more on the inside than the bruises on her arms that she hides away. When her stepfather came after her, it was her mother that betrayed her. Now, Carley trusts no one. 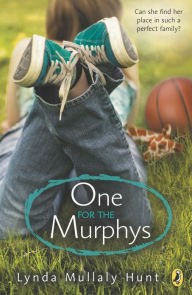 None of which stops Mrs. Murphy's efforts to reach out to her new foster child. For every effort that Carley makes to resist Mrs. Murphy's outreach, the woman responds with kindness and patience. Carley can't believe that anyone would act this way and she responds with distrust and anger. But over time, she eventually opens herself to the possibility that love can actually exist and that she actually deserves to experience it. A heart wrenching story about learning to love again after betrayal. As a story of this nature requires to be successful, the characters are strong and vivid. Their development and growth vivid and meaningful. The relationship between Carley and her foster mother is nuanced and complex. The one with her biological mother even more so. I loved the story, but it's a very painful read and the ending left me angry (even as I admitted to myself that it was the only plausible one out there). The themes and their treatment are surprisingly mature for the target age range and the thematic material strikes me as not necessarily being appropriate, but I would suppose it would depend on the reader. Maybe I can find a nice light dystopian to read next? Scarlett does not have much of a life IRL, but she's a major force in Lycanthrope High fanfiction. And when the show (a thinly veiled Buffy) is cancelled, she and her online friends have to come to grips with what lies in their futures. Scarlett certainly has a lot of real life issues to deal with that she now finds herself unable to avoid: a father who abandoned her, an old guy friend who drifted apart, and girlfriends who've turned to frenemies. An eccentric old lady serves as advisor and oracle. 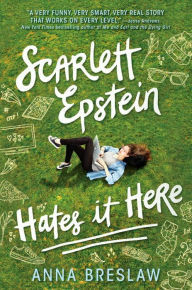 Packed full of cultural references, Scarlett Epstein is trying to go for snarky and cool (or at the very least to capture its snarky and cool heroine). The style can get tiring and I found the attitude off-putting. In the end, the old lady was pretty much the only character I bonded with. And much of the time, I wondered what the point was? It's all very clever but not a story which held much interest for me. Naila is looking forward to finishing high school, going away to college, and to finally being able to spend time with her boyfriend Saif. She loves her family and knows they mean well, but her parents don't approve of Saif. In fact, they have plans to arrange a marriage for her instead. But Naila knows that she just needs to outwait them. Soon, she'll be away at school and she and Saif can see each other as often as they wish. But when her parents discover that she is sneaking out to be with her boyfriend, they freak out. Under the pretense of a little summer vacation to see family, they take her to Pakistan. And before Naila can figure it out and stop them, she's been married off to a Pakistani man she doesn't even know. A harrowing story of a young woman with patience and strength that are hard to imagine. Her primary characteristic seems to be her ability to wait -- for days, weeks, and even months -- for opportunities to escape her circumstances. Rich in cultural detail, the story delights in its setting. Still, it is an excruciating story full of cruelty. One thing that readers will have trouble with is accepting how Naila's parents could do this to her. And while no full explanation is made, Saeed does a valiant job of making it seem all too plausible. Unfortunately, some readers may simply reinforce their derogatory attitude towards Muslim cultures, but as Saeed points out, forced marriage is hardly unique to only a few cultures. It's a stunning book. After Lou fails to qualify for the British Olympic swimming time trials, she feels lost. Her best friend has made it and left her for training camp. And Lou realizes that after nine years of constant practice, there isn’t much else in her life. She lacks the social life of her older sister or any particular academic talent. Her greatest moment appears to be when her purse flipped over in class and spilled Tampons all over the floor. But then she meets three boys with their eyes on winning a slot on the TV show Britain’s Hidden Talent. They have dreams of getting on with a synchronized swimming routine. And they want Lou’s help to make it happen. Never mind that none of them are serious swimmers or that Lou has never coached before! 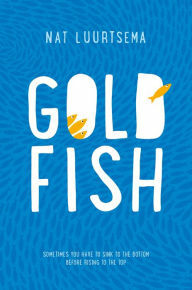 A cute and funny adventure with a big heart, but not much character development. As with much British YA, there isn’t much depth here and the whole thing plays out as a comedy (with more than a few comic digressions in the mix). It’s hard to take anyone or anything seriously and the story itself grows a bit repetitive. But it’s lively enough if that is what you want. Why British YA writers shy away from doing serious character studies is interesting in itself. There seems to be an unspoken assumption that adolescents are able to handle it and need to be sheltered in emotional safe zones. They can have adventures, but any serious repercussions are always handled by parents and other adults. As a result, the adventures exist in a bubble. This makes the characters seem shallow and clueless about the world. Adolescence certainly has enough of that already, without the additional nannying. At a three-week summer camp for talented (but troubled) young people, Samantha and her peers learn how to cope with crippling anxiety attacks. Samantha has dreamt of becoming a professional ballerina since she was six, but puberty has not been kind to her and she finds that, despite her best efforts, she no longer has the body type that she needs to land roles. Or at least that is what her inner voice tells her. Learning to overcome that voice is what camp is for. 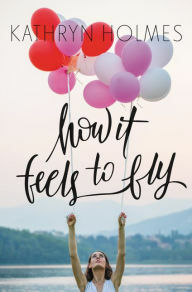 But in the comradeship that develops, Samantha and the others find there is much more to learning to fly than simply learning coping mechanisms. Fairly predictable, but enjoyable nonetheless. The story combines ballet, summer camp, and illness recovery in a nice slick package. Mothers come in for particularly heavy blame, which will appeal to the usual readers. Some potential romance keeps things juicy. And angst runs throughout. You can't really go wrong. The cover, however, is really unrelated to the story -- not really sure where it came from! 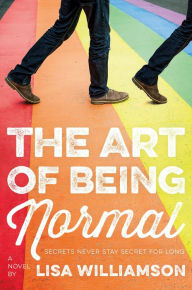 Personally, I found this a hard book to read at points as I too suffer from panic attacks, so the struggles and the discussions resonated with me. No major breakthroughs, unfortunately, but it was thought provoking and I'll think about the conversations that take place and the ideas raised. Holmes did a lot of research on therapy techniques and that was probably my favorite part. Waverly can't sleep so she runs through the night. And when she does sleep, she finds herself transported to the bedroom of Marshall. It couldn't be a more incongruous set-up. Waverly is popular, athletic, and an academic overachiever. Marshall is a stoner, disillusioned, and on the edge of dropping out. But in the twilight realm, two lost souls connect in a way that they can never do in real life. 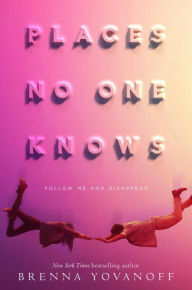 A strange and original story about finding an honest voice in a world ruled by social pressure to conform. Yovanoff's messages about the destructive expectations of adolescent life and peer pressure are nothing new or original, but are explored in a novel magical realistic way. The nocturnal encounters are just one aspect of this novel's broader exploration of lost souls trying to escape their perceived fate, a theme that is manifested in several different ways. The story is complicated and not an easy read. I nearly abandoned it because I frequently lost the track or had trouble keeping up with the characters. But the ending is particularly strong and made the effort worthwhile. It is also a book which probably gains in a re-reading (which is rarely true in YA). When they were little, Rider always took care of Mallory. Living in an abusive foster home, it was Rider who literally took the blows that the grownups dished out. He promised her that he would be there for her "forever" and she believed him. And with a knight in shining armor, she could hide in silence. He called her "Mouse." But when Mallory was injured and the dire state of their arrangement revealed, Rider and Mallory were split up. She was taken in by two doctors who gave her a stable home and eventually adopted her, giving her a future. She still has nightmares from those early years, but she's moving on. What hasn't changed though is her silence. Four years later, fate finds Mallory starting her senior year in a new school, where Rider also attends. 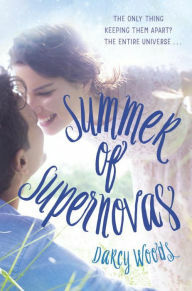 They haven't seen each other in all that time, but immediately bond again -- a bond that leads to attraction and romance. But what neither of them can admit is how much they have changed. And how much their reunion will change them further. It is a moving story about recovery and survival that is as gritty (and depressing) as the the city of Baltimore, where the story is set. 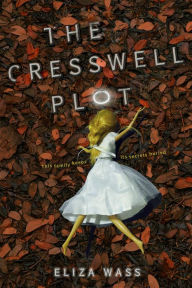 The story has a lovely dramatic arc as we get to watch Mallory emerge from her shell and gain a voice of her own. There's no denying the appeal of the complex characters of Mallory and Rider, and even the supporting characters (Mallory's step parents and the bitter Paige in particular). But the novel is very long and it drags (and even repeats itself). The overall effect is to blunt the impact of so much of the story. 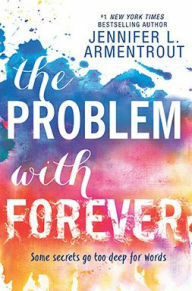 The ending is a particularly drawn out affair and Armentrout's insistence on a happy ending just seemed too contrived and untrue to the story. Told in the voices of ten young people in ten separate chapters, their lives interact with each other over the course of a day. What ties them together is their incomprehension of each other. This translates into anger and resentment, causing each of them to have a moment when they flip each other off. This leads in the end to some late moralizing about how we might all be happier if we took a little more time and effort to understand each other. The result is clever, but often distractingly so. At times, it is something of an effort to tie characters together. Also, given the overall structural demands of the story, linking the characters overshadows any significant storytelling. It is a story entirely too much in danger of being too clever. Still, I liked the experiment and the ten voices were at least interesting to follow. Naturally enough, it’s a bit gritty and having the central organizing conceit being an impolite gesture is a bit risqué. David is a young teen struggling with gender identity and the lifelong belief that he should have been a girl. His parents just assume he's gay, and he hasn't mustered the courage to speak to them yet. Leo is a new kid at school who is trying to lay low and not make friends at all (a plan which is thwarted when he attracts the romantic attention of one of the most popular girls in their class). When Leo comes to David's rescue during a bullying episode, these two unlikely compatriots bond. But as they soon find out, they share far more in common than either of them expected. 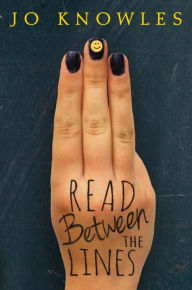 An interesting British take on transgender YA which also finds time to look at classism and racism, as well as creating a nice friendship story. There's a bit too much effort to spin a happy ending, in spite of the realization that these kids face a lifetime of hardship ahead, but I get that the author didn't want to go out on a down note. There is not a yet of gender queer literature coming out of the UK, so this novel is notable for that fact alone. The fact that it is an enjoyable read is a bonus. For Wil, the next few weeks will be especially critical: a brief period of planetary alignment means that she will have to face her worst astrological fear (the Fifth House). In plain English, this is a prime period in which she could find the Love of Her Life (just as long as he is not a Pisces!). To her credit, she does find the right guy with the right sign. Seth doesn't just have the right birthdate, he's also a nice guy and friendly. So then, why does she find herself distracted by his brother Grant? And why does she find herself thinking about Grant instead of Seth when they're together. Grant can't possibly be Mr. Right -- he has an entirely wrong sign altogether! Faced with a conflict between what the stars tell her and what her heart desires, Wil makes a mess of things for 300+ glorious pages. The fact that she is blessed with a loyal BFF, two doting (and unbelievably patient) potential boyfriends, a bunch of supportive adults, and no real responsibilities make this YA romance nirvana. I, on the other hand, found it saccharine and unrealistic. Folks may attribute my negative response to my gender, but this is honestly vapid stuff. I've got no issue with romances. They can work quite well when the characters have depth, honest motivations, and the reader is allowed to develop sympathy for both side. 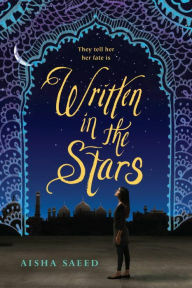 A reviewer compared this novel with Jenny Han's books, but there is so much more going on in those books (like guys who actually have feelings and relationships based upon communication). The set-up (girl obsessed with astrology to the point of ignoring common sense) wears thin and is a paper tiger that she will easily overcome in the end (I was somewhat more impressed with her twelfth-hour defeat of her clown phobia). It didn't help my mood that, once again, we have the dead mother trope (although ironically much is made of Grant and Seth's angelic mother putting in pinch hitter maternal advice). The most original (and my favorite part) were the two sidekicks (Irina and Manny) who provide some original (albeit ethnically-stereotyped) comic relief.